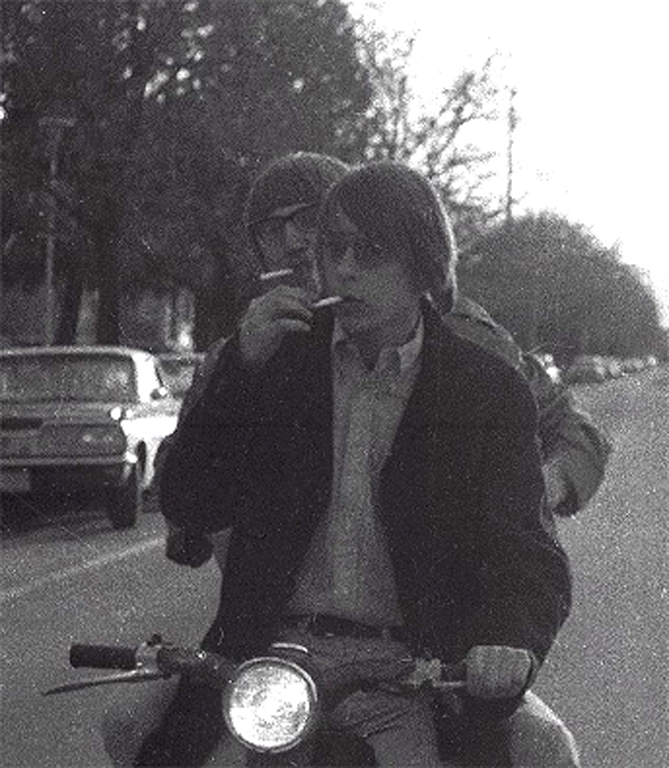 John Herman and I had recently learned how to smoke cigarets in Missoula in 1967. I wasn’t homeless in Missoula in the winter of ’67, but my fake hippie university student friends and I had no place to socialize during the freezing winter evenings. At least none that suited us. The Dean of Women, in particular, kept a tight grip on us freshmen. Women directly, of course, but that meant we men were also hobbled. None of us were old enough to go in bars. We didn’t want to go in bars! We wanted to be together, and we were–during meals! The student union building was always locked after meals were over. We wanted a place to go evenings. We required ourselves to be freely together indoors. We were not allowed to live anywhere but in the dorms. I wrote a letter to the editor complaining of the intolerable conditions!! Oh, we could have watched TV in the dorms with the other men or we could have gone to one of those off-campus religious places with organized activities, such as sitting around in a circle. We had had enough of that. It wasn’t cool. We were into more, uh, Eastern religious experiences. You know, like George Harrison. We were against the war! I was afraid of the war! Cool in Missoula in 1967 was the “Basement Coffee House,” open to hippie men and women, fake or real, every evening in the University Congregational Church, about 3 blocks from the campus. In those days my friends and I could go there with no fear of being hasseled by religious zealots, and the entrance to the coffee house was in the back of the church, through the playground. We went to the Downstairs Coffee House as often as we could. There was music, great-looking chicks who, for a quarter, served up coffee, hot chocolate or cider; it had lots of room and homemade tables from wooden cable spools with checkered tablecloths and like she said, dark except for a chianti bottle with a candle.